The Qianmen Street is seen in central Beijing as the renovation of the area comes to an end, April 23, 2008. 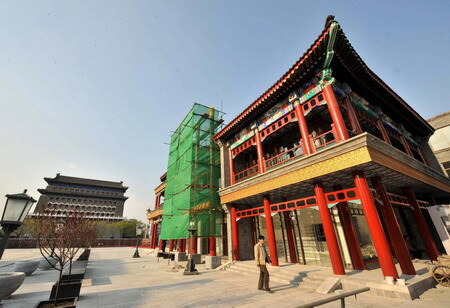 Qianmen Street, a famous shopping street in old Beijing, will reopen to the public during the upcoming May Day holiday, a year after renovations. A worker walks past a line of street lamps along Qianmen Street in central Beijing as the renovation of the area comes to an end, April 23, 2008. Qianmen Street, a famous shopping street in old Beijing, will reopen to the public during the upcoming May Day holiday, a year after renovations. A man walks on the Qianmen Street in central Beijing as the renovation of the area comes to an end, April 23, 2008. Qianmen Street, a famous shopping street in old Beijing, will reopen to the public during the upcoming May Day holiday, a year after renovations. 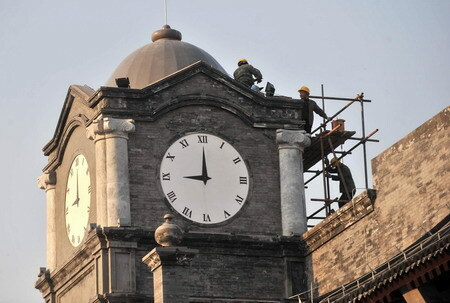 Workers repair a giant clock on the Qianmen Street in central Beijing, April 23 2008. Qianmen Street, a famous shopping street in old Beijing, will reopen to the public during the upcoming May Day holiday, a year after renovations. 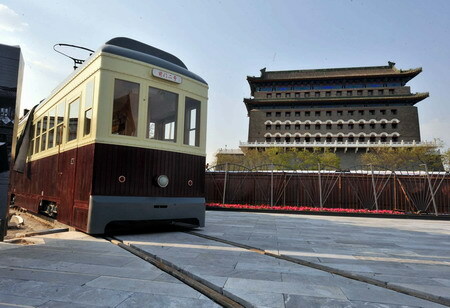 The trolley car is seen on the Qianmen Street in central Beijing, April 23 2008. 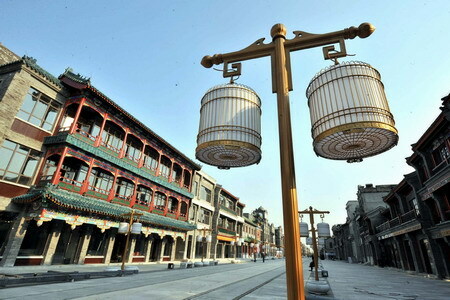 Qianmen Street, a famous shopping street in old Beijing, will reopen to the public during the upcoming May Day holiday, a year after renovations.